Hi-Tech acts as an effective and reliable collaborator for both supplier and customer. The Company’s Quality Objectives will be communicated in writing and orally to all departments and employees in the organization. The Company will carry out all Quality Management tasks to ensure that the Quality as well as our Customers’ needs is met. Each individual employee has day-to-day responsibility for the quality of his/her work. Each individual employee is familiar with the Company’s Integrated Management System. Each individual employee has sufficient and correct information about the products to be worked on, the methods used and business procedures and aids. The Company will schedule and systematically plan the education and training needs of all our employees. 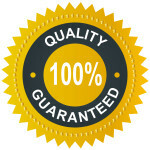 The Quality Representative has absolute responsibility for the Quality management Systems. Everyone in the Company works together, in the same way as with customers and supplies products and output of the right quality. Faults will always be eliminated by systematically searching for the real causes and thus preventing recurrence. WE BELIEVE IN MAKING A DIFFERENCE !! At Hi-Tech, we believe that economic growth and the continuous demand for development and general well-being of our society is linked to the health of our environment.